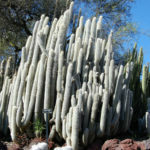 Cleistocactus strausii is a perennial cactus with slender, erect, grey-green columns up to 10 feet (3 m) tall and only about 2.5 inches (6 cm) in diameter. The columns are formed from around 25 ribs and are densely covered with areoles, supporting four yellow-brown spines up to 2 inches (5 cm) long and 20 shorter white radials. Older plants, over 18 inches (45 cm) tall, produce deep red, burgundy, flowers in late summer. The up to 3 inches (6 cm) long cylindrical flowers protrude horizontally from the columns. Choose a location that gets full sun and has well-draining soil. 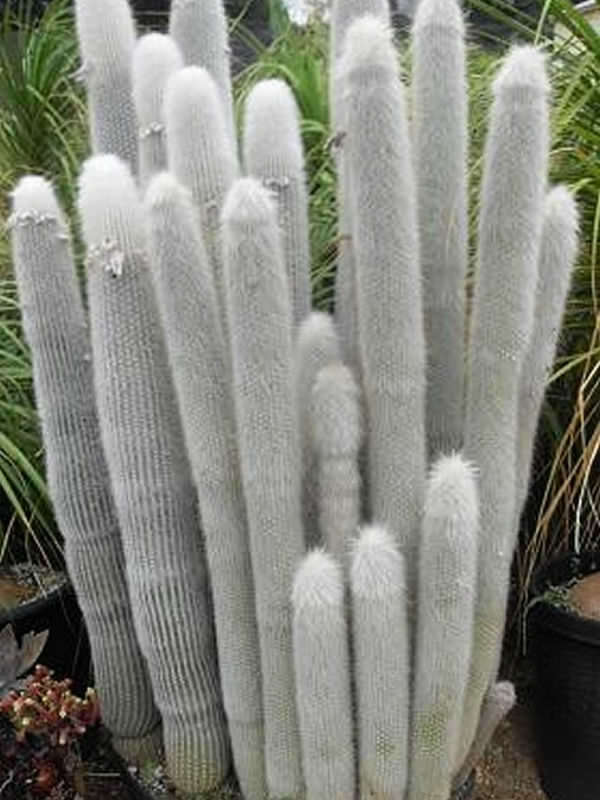 Water Cleistocactus during the spring and summer when the top inch (2.5 cm) of soil dries out. During the fall, reduce watering to every five weeks if the ground dries out. 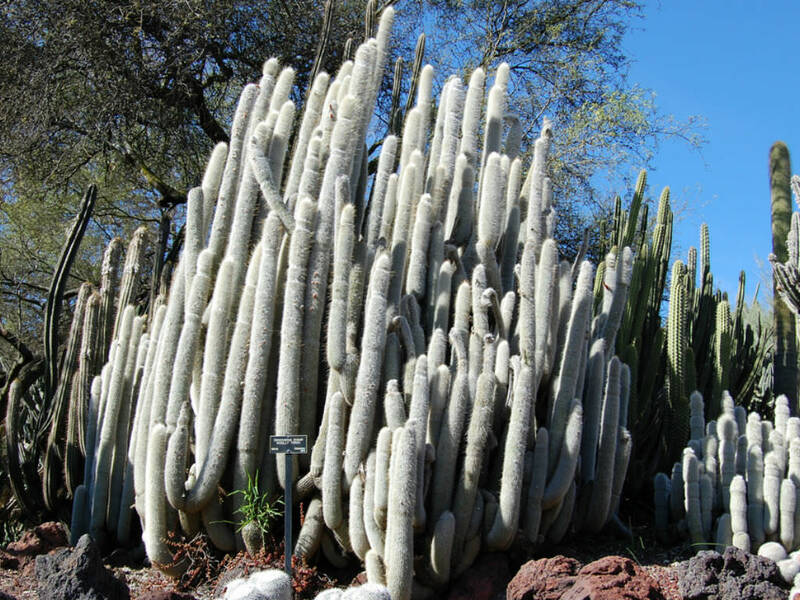 In winter, keep Cleistocactus dry or the moist ground combined with the cool temperatures and dormancy may cause the roots to rot. Fertilize Cleistocactus with a low-nitrogen fertilizer during the active growth period. A slow-release fertilizer applied in the spring will be sufficient for the whole year. 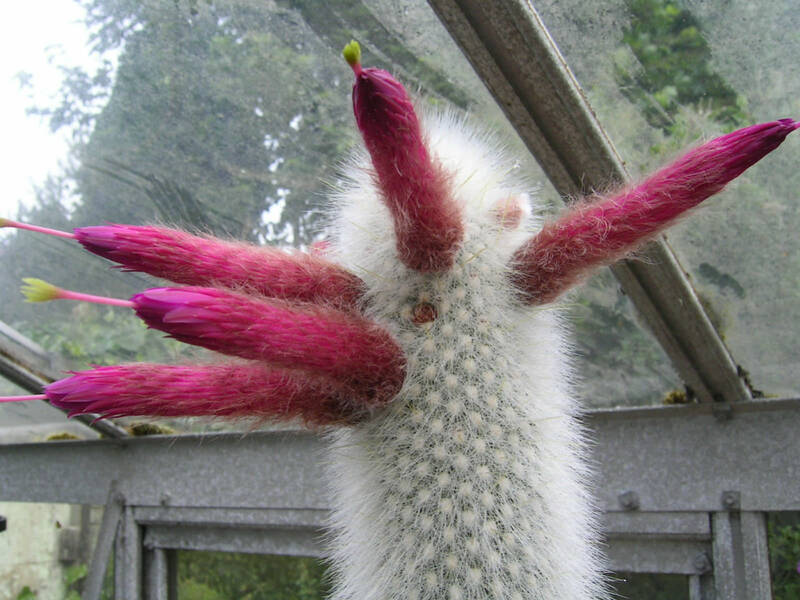 It is possible to propagate by cutting a small branch from a Cleistocactus and rooting it, but this inevitably leaves a disfiguring scar near the base of the main stem. 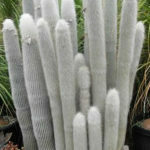 If an offset is removed to be used in propagation, remember to let it dry for a week or so, letting the wound heal… – See more at: How to Grow and Care for Cleistocactus. Native to high mountain regions of Bolivia and Argentina.